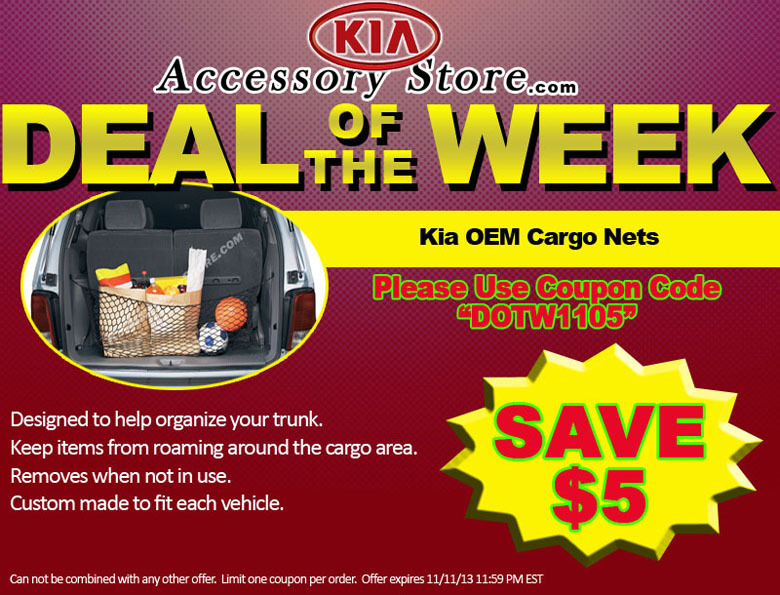 SAVE $5.00 on Kia Cargo Nets - use coupon code "DOTW1105"
Keep groceries, sport gear, valuable and fragile items from roaming around the trunk area of your Kia. This cargo net was designed to help organize your trunk area while allowing easy access to your stowed possessions. Can not be combined with any other offer. Limit one coupon per order. Offer expires November 11, 2013 11:59pm (EDT). Please call 1-800-509-2652 for complete details.